First model of the Merkava Mk. 2 tank. Merkava Mk. 2A with improved fire control system, including a thermal sight. Merkava 2B with improved protection against top-attack, in form of increased turret top armour. Merkava Mk. 2D Merkava Mk. 2C with fourth generation armor, additional armor plates on the chassis and the turret. The first Merkava Mk. 1 tanks were supplied to the IDF in April 1979, nearly nine years after the decision to produce the Merkava Mk. 1 tank was taken. The Merkava Mk. 1 tank has been designed in accordance with experience gained from IDF armored battles in all Israel's wars since the Sinai Campaign (1956). The Merkava Mk. 1 is unique in its basic concept, common to all generations of the Merkava Mk. 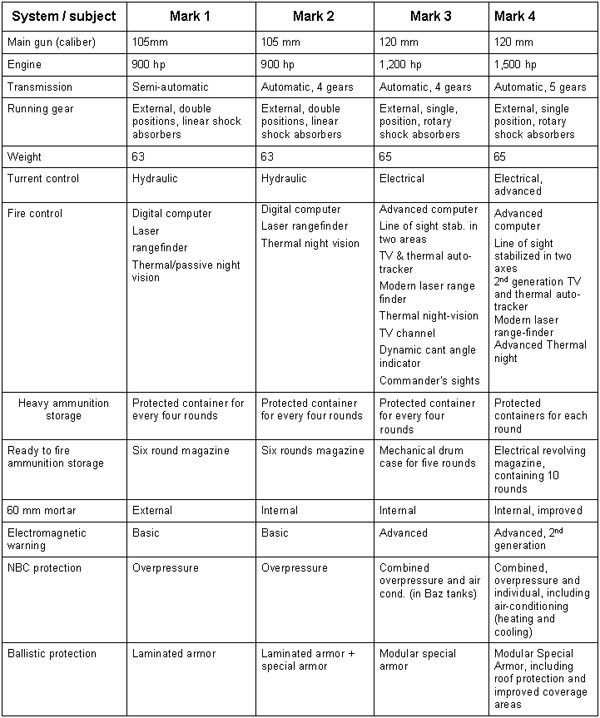 1, according to which armor and survivability of the tank are its basic features. The tank's protection is based on all-round spaced ballistic armor, and deployment of the tank systems around the crew, thus utilizing basic elements and systems of the tank to protect the crew and ammunition, in addition to their specific functions. The most striking example of this concept is placement of the power pack (engine and transmission) at the front of the tank. The Merkava Mk. 1 tank participated with a high degree of success in Lebanon War (1982) when the war started Israel had 200-300 Merkava Mk. 1 tanks. The Merkava Mk. 1 proved superior to the Syrian T-72 MBT (then the Soviet's newest tank). The production of Merkava Mk. 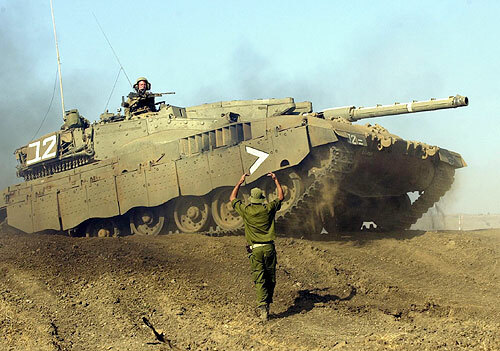 2 tanks continued until the end of 1989, at which time Merkava Mk. 3 tanks started to come off the production line. The Merkava Mk. 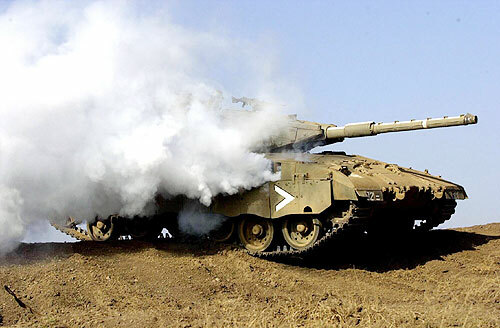 3 entered service in the IDF at the beginning of 1990 when israel had 600-800 Merkava tanks. It is a sophisticated tank. The difference between the Mk. 3 and the Mk. 2 is in essence and not in degree. All systems and assemblies were new, and except for the engine, are of Israeli design and production. Among the prominent features of the Merkava Mk. 3 were the new and unique suspension system, the high powered engine, the powerful main gun, and, especially, a new and unique concept of armor. 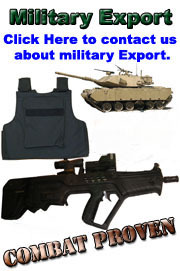 Ballistic protection is provided by special armor modules, which are attached to the tank by bolts. 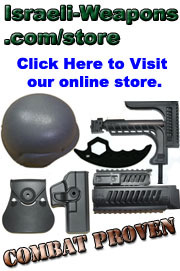 These can be easily replaced whenever better ballistic technology is introduced. Thus, the tank will remain "young" forever. The Merkava Mk. 2 was designed long before the Lebanon War (1982). In fact, Merkava Mk. 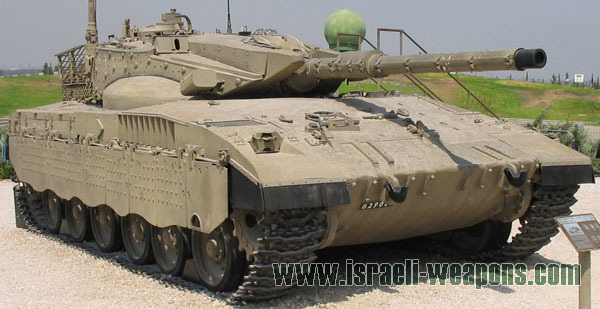 2 was designed as early as the late 70s, when the first model (Merkava Mk. 1) entered service. Automotive systems: upgrading the engine with either a gas turbine or an upgraded diesel engine. The suspension system has also been improved, allowing for even better cross country mobility at higher speeds. This suspension is probably of a pneumatic type. The modified powerplant and automotive system, for which specific information has not yet been released, gives the new Merkava Mk. 2 an overall improvement in mobility. Fire control system: new advanced night fighting equipment was added to the tank, probably locally manufactured types. These include probably the commander/gunner sights, and driver's night vision. 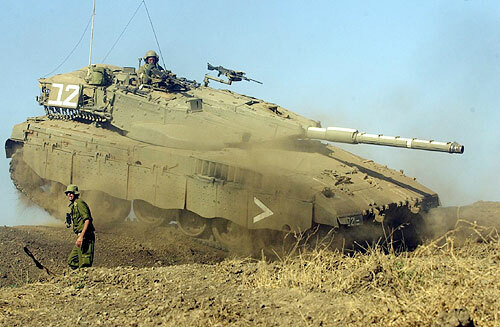 Protection: New armour technology was designed and developed in Israel for the Merkava. 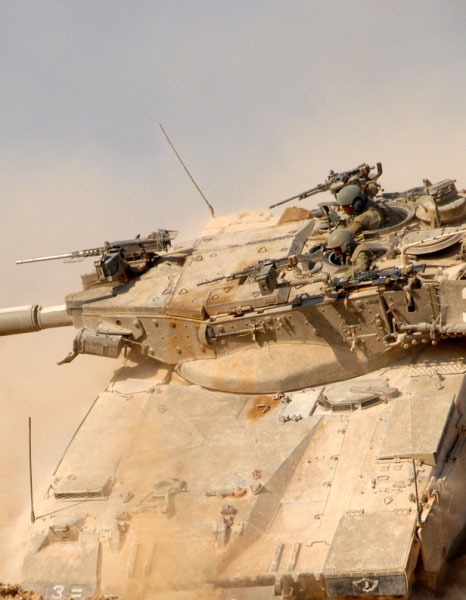 The experienced accumulated in the development stage was enhanced by new ideas and developments and now the Merkava tanks are equipped with armour plates offering the best protection available by such means. Added protection is given by external means such as the redesigned skirts and spaced armour. Gun: Many experts are already predicting the end of the “105mm era”. To meet the demands of the future, new types of the Merkava (Mk. 3, etc.) will probably mount a larger caliber gun, 120 mm or similar, to scope with the increasing threat. In the meantime new developments in ammunition can get the best from the existing 105 mm guns.